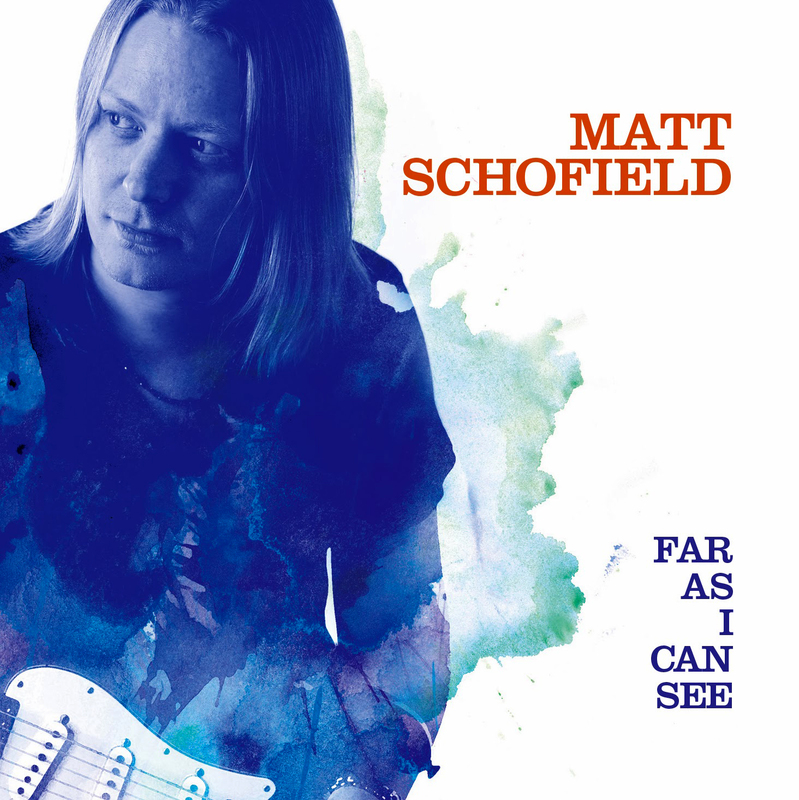 Its official, Matt Schofield has finally come of age with his latest album, Far As I Can See. He is a modern British blues guitarist, who likes nothing more than to take inspiration from his heroes such as B.B. King, Albert Collins and Stevie Ray Vaughan and showcase them in his own music. For reasons unknown, he has always found himself on the periphery of success but this latest offering which positively balances his song writing with some fantastic guitar playing together with some old-school interaction between him and the other members of the band, may well change all of that. The opening track, Far Away, finds Schofield brimming with confidence and this, in turn, takes us by the hand and leads us through a very mature album. If you listen carefully you could almost swear that you were listening to the nasal vocals of Joe Gooch. The slow blues track, The Day You Left sees Schofield once again take centre stage with some breath-taking playing as only he can do. He immerses himself into the song with total feeling and restraint in what can only be described as a brilliant arrangement. A personal favourite of mine, Clean Break, sees Schofield revisiting the organ-led trio format, with his life-long friend and companion, Jonny Henderson successfully filling the track with some sublime keyboard work. Schofield adds some standout vocals to the track whilst the jam to finish is simply outstanding. There are a couple of tracks that you feel were written to be performed live; Oakville Shuffle and Everything, both of which will no doubt effortlessly fit into a Matt Schofield live set. What Schofield manages to do with the classic Neville Brothers track, Yellow Moon is truly worth the purchase price of the album alone. He has totally given this a new arrangement complete with some fine rhythm guitar work. Also worthy of a special mention is Tell Me Some Lies, on which at times, Schofield sounds more like Stevie Ray Vaughan than Stevie Ray Vaughan does. He certainly lets his guitar do the talking. Step aside Robben Ford, the young pretender has finally emerged from the shadows.